Let’s start with the WordPress Help Sheet of startbloggingonline.com. The same Help Sheet just in HTML format is available at frozr.com. Also very helpful. 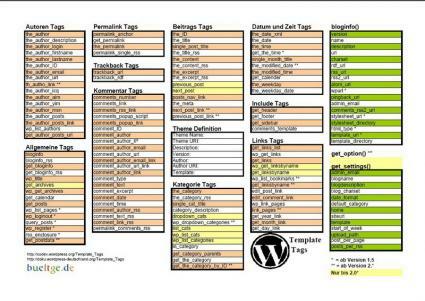 Another great PDF WordPress Cheat Sheet for Template Tags in German of Frank Bültge, very clean and at one glance. 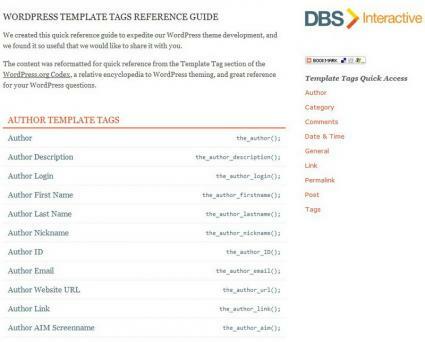 One of my favorite is WordPress Template Tags Reference Guide of DBS interactive. 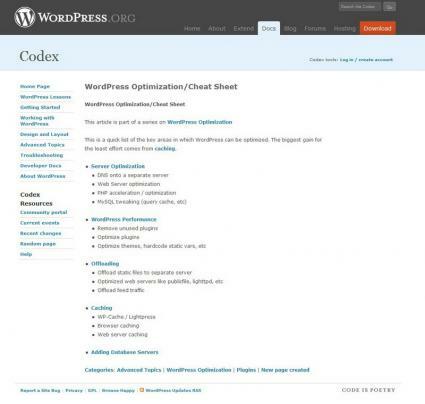 There is also another WordPress Cheat Sheet for SEO in WordPress available. Created by tekka.de in PDF format. The website is in German, but the Cheat Sheet is in English. I hope the pages and Cheat Sheets will help you. Good luck! And if you know another great Cheat Sheet, let me know and I will add it to the list. Update! I also received a new one. Check out Startbloggingonline.com there you can also download a JPG version. Thanks a lot for linking to my cheat sheet. But i have to say the other cheat sheets are also very interesting, i did not know most of them before. My pleasure Markus, if you check my German website http://blogdrauf.de you can also check this post in German. And a big thank you to you, making the SEO Cheat Sheet. I also noticed your post in German language, but i wanted to say thanks on your English site. Because i don’t know much English bloggers, which write about this cheat sheet. And i did it in English language to help more than people know the German language. Thank Alex bring them to us. @Yuen, glad to do that. Great stuff – very helpful info for those of us that like to get into the inner workings. thank you Rhys, hope it will help you! this site has a really good informative stuffs. i really appreciate. Hi buddy, This collection is very informative and chest sheets present in the article are easily understandable and they can be helpful to start a word press.Thanks for the posting. Great! Thanks! Bookmarking this one! @ Dainis, happy to be bookmarked! Hey, thanks for sharing these links with everyone! Really appreciate it! Hope you are successful with your development. Good luck! Awesome article. Wordpress is popular today and these cheats will make us unique than other. I will share this only with my friends. This codes are very nice. 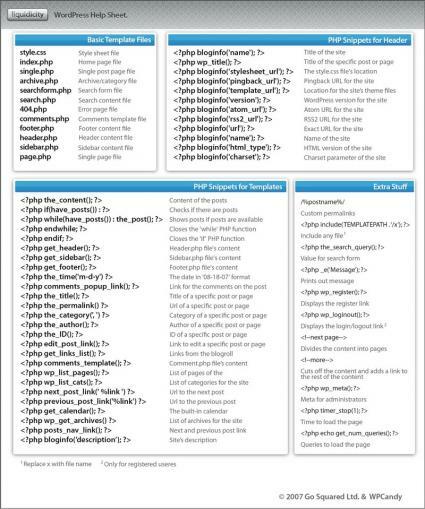 I have another WordPress cheat sheet to add. DBS>Interactive created a handy new WordPress Reference Guide for Developers, designed to expedite the process of internal theme development. It contains a plethora of tags, displayed in an easy to use format. I invite you to utilize our WordPress Reference Guide. 7 ???????? ????????? ??? WordPress | ???????? ? ????????? ????? 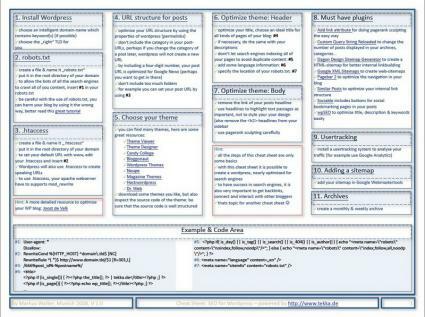 7 Very Helpful WordPress Cheat Sheets en Blog personal de InKiLiNo | Wordpress, Plugins y algo de SEO.